Coffee research. 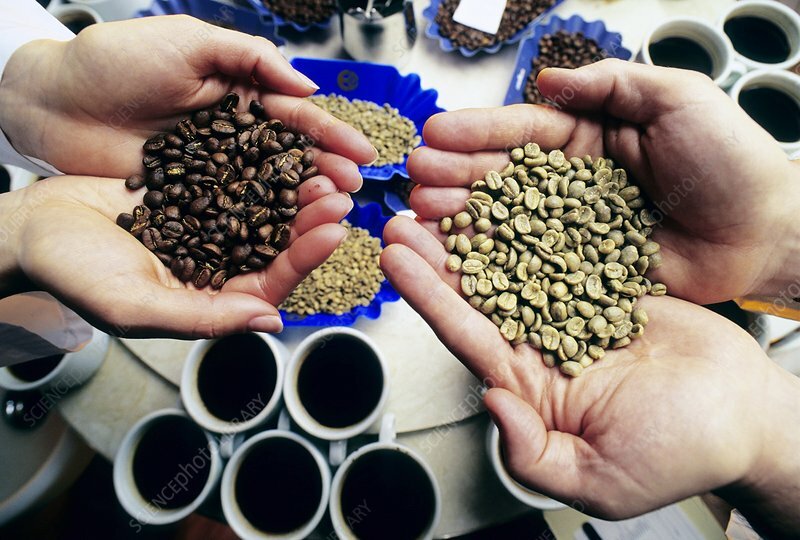 Researchers holding samples of different varieties of coffee beans. They are tasting coffee brewed from the different beans in order to evaluate the aroma and feel. Photographed at the Lavazza factory, Turin, Italy.